This is it! The big day is tomorrow and I’m so pumped to be finally opening my own pro shop. I feel like Hugh Jackman in The Greatest Showman (great movie FYI, if you haven’t seen it I highly recommend). I’m still trying to get my hands on a hat like that. 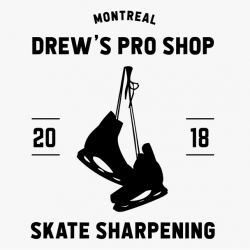 Saturday, December 1st marks the official opening of Drew’s Pro Shop’s first ever permanent store in Dorval, Quebec. If you had told me this even three months ago, I would have called you crazy. My plan had been to keep things mobile for the time being, while continuing to work as an equipment manager for both the Concordia Stingers and the Canadian Women’s National Team. In my wildest dreams I wouldn’t be opening a permanent pro shop in at least three to five years. Quartier Hockey reached out to me after we started following each other on Instagram. Right away after speaking with co-owner PJ Corsi and going to visit the facility, I knew that they were on to something special. I also knew that I wanted to be a part of it. Have you ever been somewhere, or met someone where you just get a really good feeling? That’s how I felt at Quartier Hockey. The owners and employees have a lot of passion and love for what they do, and they bring a special kind of energy to the rink every day. They’re young, energetic and excited to grow and develop young hockey players. A few before and after photos to show the progress of the shop. We’re only getting started! Those are the kind of people you want to be around. It makes going to work so much easier when the people around you are positive. It’s one the main reasons I’ve stuck around at Concordia for so many years! Positivity is contagious, and being surrounded by it day in and day out makes the world just a little bit brighter. Coffee tastes a little bit better in the morning when you’re on your way to a job you love, and I am so grateful to be in that position. Even though I am opening my new shop, the amazing thing is that I am still able to keep working as an equipment manager! My very loyal brother James is going to take over the pro shop whenever I’m off with Concordia or Team Canada. I somehow manage to get the best of both worlds, and I get to continue to develop and improve my skills as an equipment manager and bring them back to the pro shop. It’s a new chapter, and I’m so excited to start this adventure. So as of December 1, come by and check out the pro shop. Come check out the whole facility for that matter, and you’ll see right away what I’m talking about. 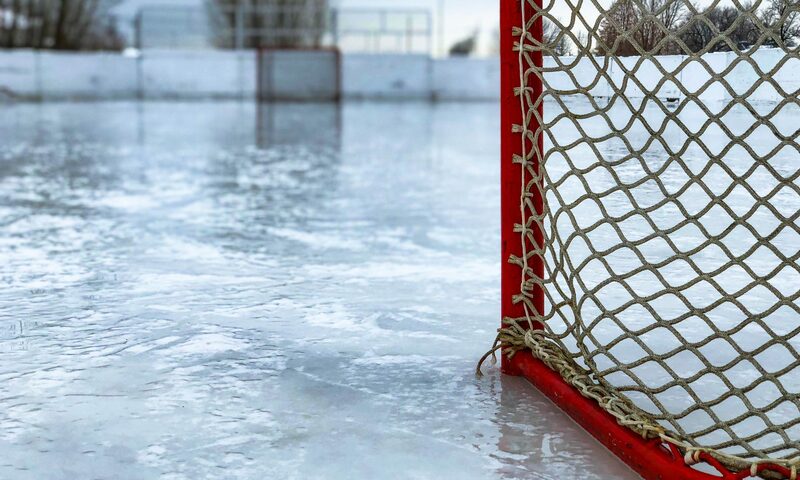 Quartier Hockey has a special atmosphere about it, and it’s where young and old hockey players alike come to grow they hockey skills and have a great time doing it. I’m just happy to be a part of the process!